The profession of landscape architecture offers students the opportunity to engage in shaping the environmental and cultural landscape through planning and design to improve quality of life. The Mississippi State University Landscape Architecture programs teach the artful synthesis of social and ecological processes related to planning, designing, building and managing regenerative communities in Mississippi and the Northern Gulf Region, within a global perspective. Students enrolled in the Bachelor of Landscape Architecture (BLA) program experience an immersive, intense, and rewarding education structured around a studio environment that promotes critical thinking and creative problem solving. The department is dedicated to providing a high-quality education for our students, through small class sizes and one-on-one interaction between student and faculty. 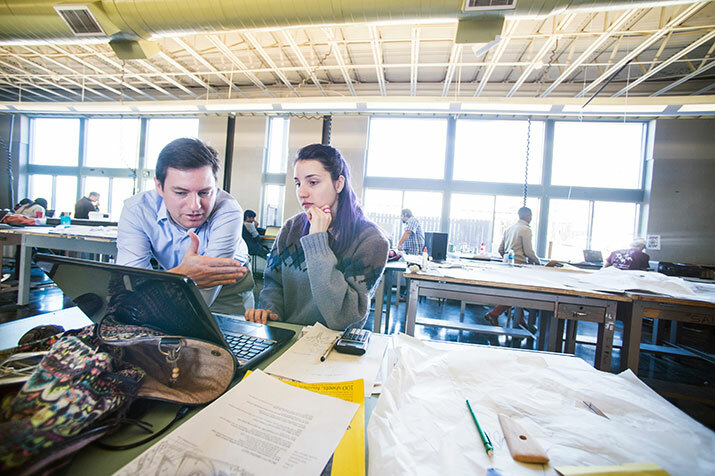 The BLA program is the only accredited bachelor of landscape architecture degree program in the three state region of Alabama, Mississippi, and Tennessee. The BLA program is accredited by the Landscape Architectural Accreditation Board and is the only accredited bachelor of landscape architecture degree program in the three state region of Alabama, Mississippi, and Tennessee. LAAB accredited programs are required to provide reliable information to the public. Programs must report on accreditation status and its performance. This information is to help potential students make informed application decisions. To review this information, click here. All students in Landscape Contracting and Management are required to have their own personal computer. Please see the department specific guidelines prior to purchasing a computer. The Occupational Outlook Handbook from the U.S. Bureau of Labor Statistics predicts the employment of landscape architects is expected to grow 6% from 2016 to 2026. The median annual wage for landscape architects was $65,760 in 2017. Students may transfer to Mississippi State University from regionally accredited community, junior or senior colleges for any period of enrollment, provided they have earned a 2.0 GPA (as computed by Mississippi State University) on all college courses attempted as well as earned a 2.0 GPA on the 30-hours of core courses. Transfer students should look at the transfer course equivalent guide to determine which courses will transfer. Residents of Alabama, Delaware, and Tennessee may attend Mississippi State University and major in Landscape Architecture at in-state tuition rates through the Academic Common Market. Find out more about the Academic Common Market. States offering this opportunity are subject to change.